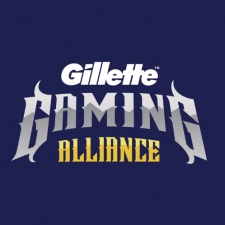 Streaming platform Twitch and razor manufacturer Gilette have partnered up to launch the Gillette Gaming Alliance. The alliance is made up of 11 streamers from 11 countries, Italy, Poland, Turkey, Japan, Russia, Spain, Brazil, South Korea, America, Germany and the UK. This new partnership will help to push the “Bits for Blades” promotion, an initiative to give viewers the opportunity to earn Twitch Bits that can be used to donate to and support streamers on the platform. Twitch viewers can purchase Gillette products through Amazon or other third-party vendors and earn up to 250 Twitch Bits to use towards their favorite streamers. The Gaming Alliance will also be serving up a special event at TwitchCon Europe next month. “The Twitch community thrives on being able to directly support their favorite streamers both emotionally and financially, and seeing that support show up on screen is an added bonus," said senior director of global sponsorship at Twitch, Nathan Lindberg.